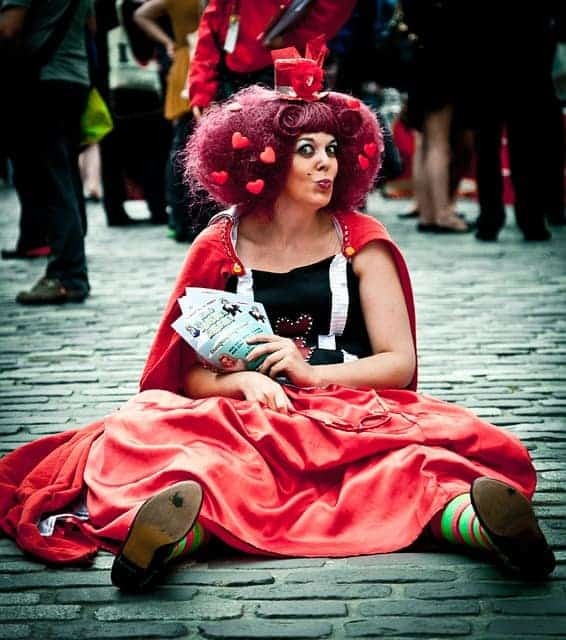 Why has Edinburgh been voted one of the best cities in the world? What’s so great about Edinburgh anyway? The Scottish capital has been voted the publics favourite city in several polls in the last couple of years, with readers of a wide range of media outlets putting it at the top of their lists. 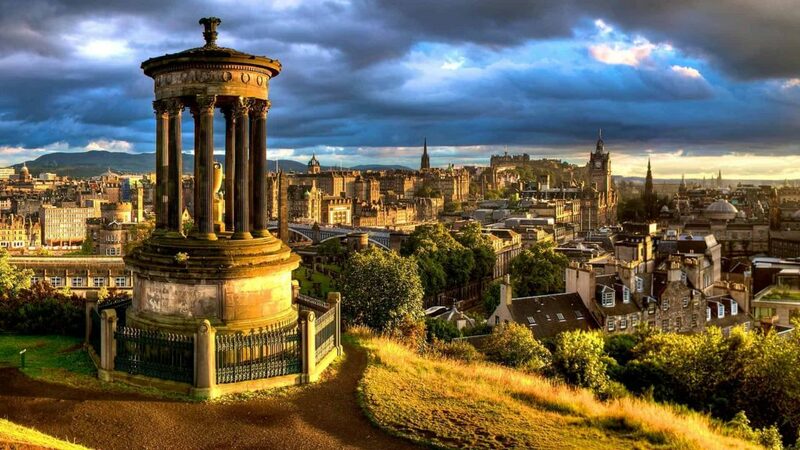 The Telegraph newspaper has voted Edinburgh the number 1 city in the UK while holiday website HomeToGo has voted it in the top 5 cities of the world, and the Rough Guides website has even ranked it the 4th most beautiful city in the world. It’s a well-known fact that the city regularly tops the list of destinations for culture-seekers looking to explore the best art galleries, museums and festivals. In fact, as well as hosting 12 major cultural events each year (including the Fringe, the world’s biggest arts festival), Edinburgh was the first ever city to be granted the title of UNESCO city of literature, and it’s one of the few cities on the planet to have its centre elevated to UNESCO world heritage status. But you might be asking what’s so special about this small collection of medieval and Georgian buildings nestled on the south-east edge of Scotland? The answer lies in the fact that so much history has been packed into one of the loveliest regions of a country that has already been voted the most beautiful on earth (Rough Guide readers poll 2017). There’s just so much to see and do there. For example, have you ever wanted to spend a morning roaming around buildings that are hundreds of years old, then explore one of the most majestic castles in Europe before finishing off the day with a wander around an extinct volcano? In most cities, any one of these activities would be worth the price of visiting alone, but Edinburgh is home to all these attractions and more in a beautifully compact area. This place really does have it all. Fascinating old buildings, open parkland crying out for summer barbeques, mysterious pathways leading into hidden courtyards, world-class shopping, fantastic festivals, a royal palace, a majestic castle, and of course, the infamous volcano. There are also award-winning restaurants all over the city, nestled in between some of the friendliest pubs and bars you’ll ever come across where great Scottish cooking can be enjoyed alongside a dram of spectacularly good whisky. There are family-friendly attractions that will delight all age groups where not only will the kids be entertained, but mum’s and dads can join in the fun too. There are romantic walks for couples to enjoy – both through the winding streets and the numerous beautiful parks, along with museums, art galleries, a world-leading zoo, and even a few sandy beaches! For anyone with a love of the arts, there is the biggest annual muti-arts festival in the world to experience, as well as festivals celebrating food, a book festival regularly featuring world-famous authors, and some of the best theatres in Britain. And if you’re feeling adventurous you can easily step out of the city and journey to crystal-clear lochs and breath-taking mountain ranges, all easily accessible within a couple of hours of travel. While most cities can lay claim to an ancient history, ‘Auld Reekie’ has a more interesting story than most others. While we know that this part of Scotland has been inhabited for many thousands of years the earliest records indicate that its origins began in the middle ages when a hillfort was established in the area of Castle Rock, where the famous Edinburgh Castle now sits. From the seventh to the tenth centuries the town (also known as a ‘burgh’) was a part of the Anglian Kingdom of Northumbria, after which it became the official residence of several Scottish kings thanks to Castle Rock being such a good defensive fortress. The town continued to grow in size until it was officially decreed as the capital of Scotland in the 14th century. During the following years it became well-known as a site of trade thanks to it’s proximity to the North Sea, as well as a centre of enlightenment as several world-class universities were established. By the 18th century, what is now known as the New Town – another UNESCO world heritage area – was added to the ancient and run-down ‘Old Town’, and Edinburgh continued to enjoy its status as Scotland’s largest city. Recent developments have seen several financial centres relocate themselves there, and Edinburgh is now regarded as the second major British financial centre, beaten only in size by London. Other than finance, the city has seen a surge in scientific advances, and new industries in cutting-edge technologies are constantly springing up thanks in part to the continued quality of university graduates that are produced year after year. 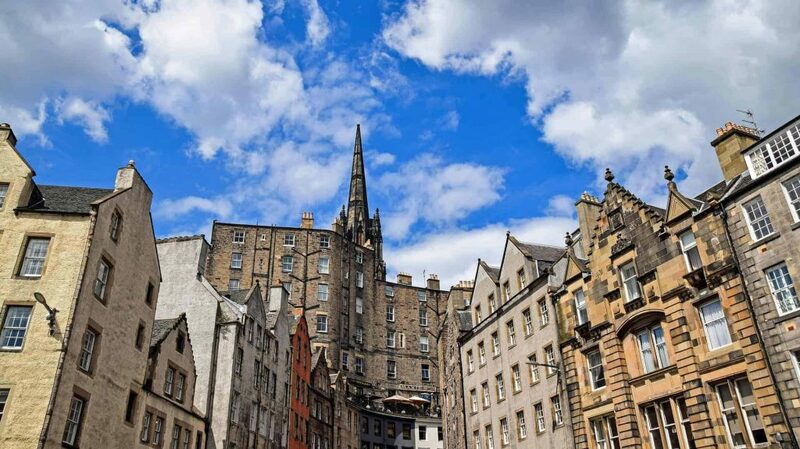 Although Edinburgh has an impressively long history the future looks extremely bright, and not only has it become a leading destination for tourists but it still draws in new residents every year, all keen to experience the history and opportunities of the city that has been voted the best in the world.